The National Firearms Act, also known as the NFA, dates back to 1934 and requires the taxation and registration of specific types of firearms. The theory of the NFA was that making items like machine guns and short-barreled rifles prohibitively expensive and paperwork intensive would decrease gun crime overall. In reality, the act regulates firearms only used by a small handful of citizens and in some cases, includes items that could help gun owners as a whole. Today, we’ll be covering the NFA and the definitions of what firearms it actually regulates. We’ll also be discussing how new legislation may help to remove some items from the NFA to make it easier for gun owners to purchase things like suppressors. 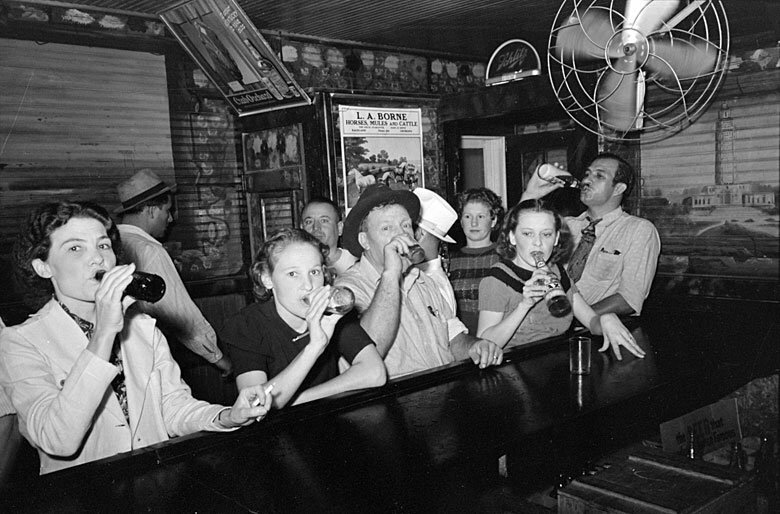 With the passing of prohibition in the United States in 1920, a new underground industry was created for the transfer and sale of alcohol. This new industry brought with it crime and violence, which reached its peak by the late 1920’s. After incidents like the St. Valentine’s Day Massacre, lawmakers in the U.S. sought to stem the tide of this increased violence. In an effort to curb the gun violence, Congress set out to create an Act that would require the taxation and registration of firearms. Originally, the Act was set to tax and register all firearms sold in the United States, but it was ultimately decided that the weapons included would be machine guns, short-barreled rifles, short-barreled shotguns, any other weapons (weapons using the energy of an explosion) and suppressors. The tax amount of $200 was extremely prohibitive for most people in these times and when adjusted for inflation, $200 in 1934 equals roughly $3,500 today. This tax amount was by design, as it was thought that many people simply wouldn’t have the money to afford these outlawed weapons. The NFA has seen several changes through the years, most notably the re-writing of the Act in 1968 to ensure existing weapons couldn’t be registered by a private citizen and had to be registered by the government. In addition to this change, the new category of Destructive Device was added, including items like grenades and firearms with bores over .5 inches. In addition to the changes to the NFA, several other pieces of legislation have been enacted over the years that affect items included in the Act, most notably the Firearm Owners Protection Act. This Act, passed in 1986, made it illegal for a private citizen to posses a machine gun manufactured after 1986. Through the years, advancements have been made in firearms technology but the NFA remains mostly unchanged since its adoption in 1934. The following are the categories of firearms regulated by the NFA. Owning any of the following items requires a $200 tax and registration of the item. As mentioned above, only machine guns manufactured prior to 1986 can be owned by private civilians and they must be taxed and registered. It is not currently legal for a private citizen to own a machine gun manufactured past 1986 in the United States. Any firearm with a buttstock and either a rifled barrel less than 16 inches long, or an overall length of under 26 inches, is considered a short-barreled rifle. This overall length is measured with the stock fully extended. Recently, many gun owners have begun constructing AR-15 style firearms with what the government has interpreted to be “braces” rather than buttstocks. These braces are designed to stabilize the firearm when shooting it and a weapon containing an approved brace is considered to be a pistol rather than a rifle. If you’re considering using one of these braces, you’ll find you need to tread lightly as there are several additional regulations to know. This includes not shouldering the pistol when shooting, as that could be interpreted as changing the weapon from a pistol into a rifle. A short-barreled shotgun is defined almost exactly like short-barreled rifles, but using either a smoothbore barrel less than 18 inches long or a overall length of under 26 inches. 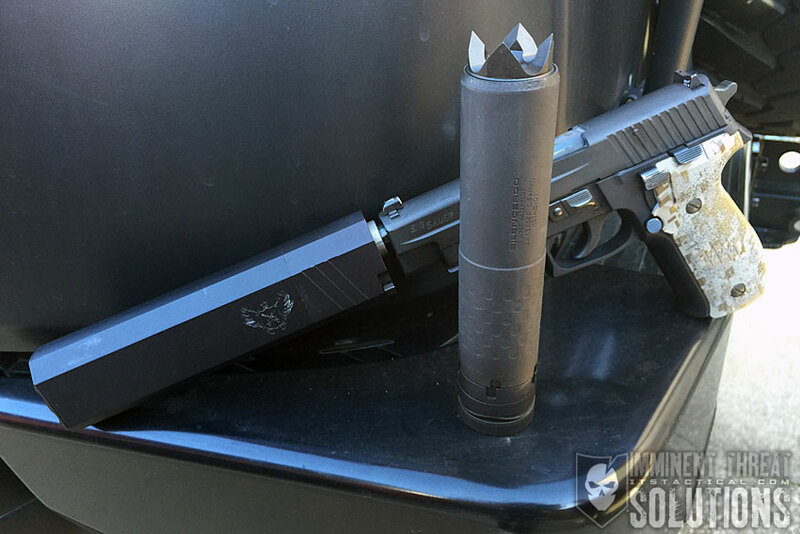 Perhaps the most contentious item covered by the NFA, suppressors are defined as any portable device designed to muffle or disguise the report of a firearm. The broadest of the categories, destructive devices include things like grenades, bombs, explosives, and gas weapons. They’re also defined as firearms with a bore over .5 inch, however shotguns that have been recognized as suited for “sporting purposes” are exempt from this. While it might seem like the tax of registering an NFA firearm is the biggest hurdle, it actually ends up being one of the easiest parts. 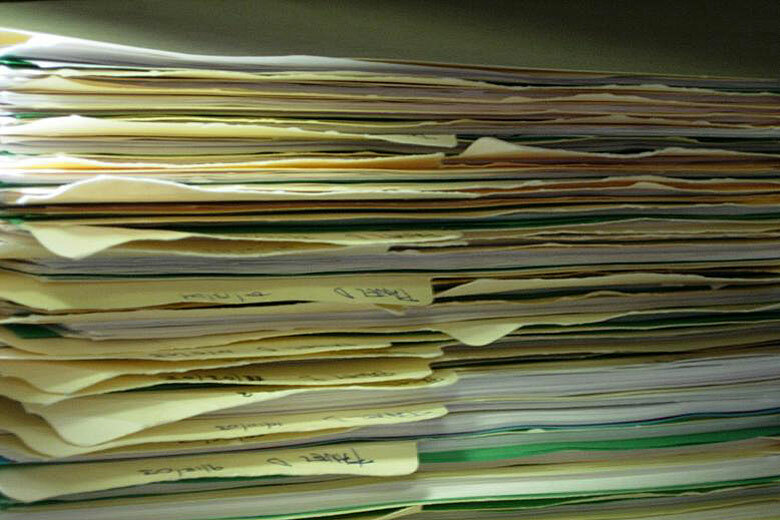 As each registration is processed by the Bureau for Alcohol, Tobacco and Firearms and Explosives (BATFE) by hand, the wait times to process an application for an NFA firearm can be extremely long. Recently, several readers have let us know they’ve waited up to 10 months to have an application approved. Another big hurdle for firearms owners is state-level regulations. Some states don’t allow citizens to own firearms regulated by the NFA, even if the citizen is willing to pay the tax and register. Not only does this create issues for those residing in the state, but those just driving through a state with an NFA firearm could risk breaking the law. The $200 tax has remained the same since 1934 and while it’s a much more affordable amount these days, it still has to be factored into the cost when building a gun. Not only does this price some items out for some people, it creates an economy that forces manufacturers to charge more for things like suppressors, as not as many people will go through the process to buy one. As much as we try to avoid politics here on ITS, there’s no denying that the current arrangement of the executive, legislative and possibly soon to be judicial branch of government are much more favorable toward our 2nd Amendment rights. With these branches being like minded, the chances are much higher of re-structuring or repealing the NFA. Currently, there’s a WhiteHouse.gov petition to have the White House respond to a request to repeal the NFA. You can click here to sign this petition and if it reaches 100,000 signatures in 30 days, the White House will release an official update. While it’s great to see petitions like this gain traction, it’s very unlikely that a full scale repeal of the NFA will be possible. Especially as it covers things like grenades, bombs and other large weapons. What’s far more likely for legislators would be to examine the items currently covered by the NFA and whether everything really deserves to be under its purview. 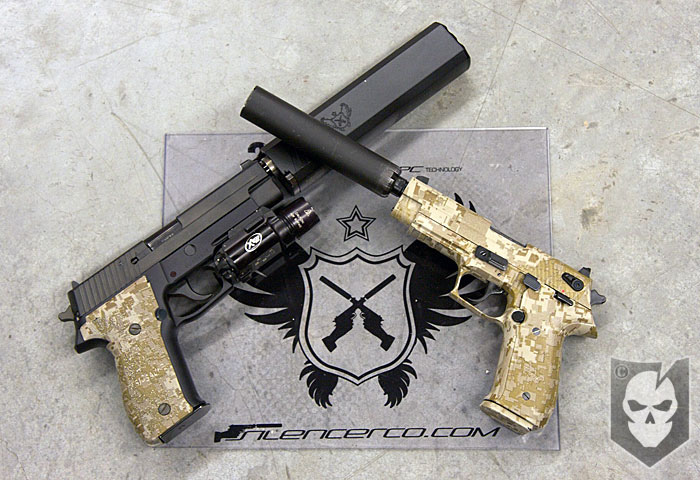 In fact, our friends at SilencerCo have been hard at work lobbying to have suppressor removed from the NFA completely. 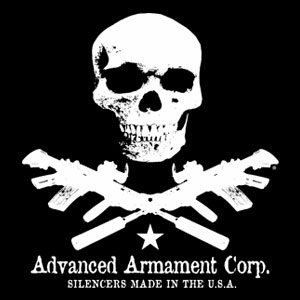 SilencerCo is attempting to break through the movie myth that a suppressor makes a gunshot ninja-quiet and educate legislators that suppressors can help thousands of gun owners protect their hearing. A bill has been referred to the House Judiciary, called the Hearing Protection Act, that would completely remove suppressors from the NFA and would make the purchasing process much like that of any non-NFA regulated firearm. If you’re interested in making sure this bill passes, you’ll need to reach out to your local representatives and let them know how you feel. After an election season where many voters were told that it wouldn’t matter how they voted, as one candidate had the election sealed up, it should now be evident how important making your voice heard can be. Click here to find your representatives and contact them to let them know you support this bill and any like it. 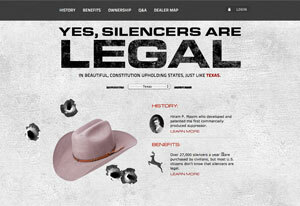 Suppressed no More: Silencers are Legal Website from Silencerco Debuts! Tired of Suppressor Tax Stamps? 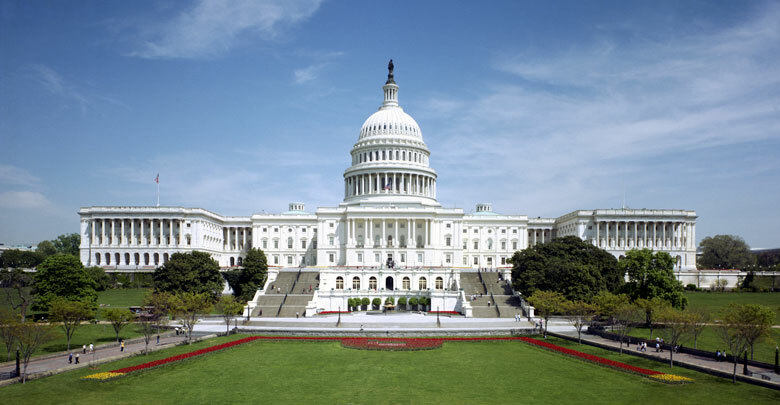 The Hearing Protection Act Needs Your Help!